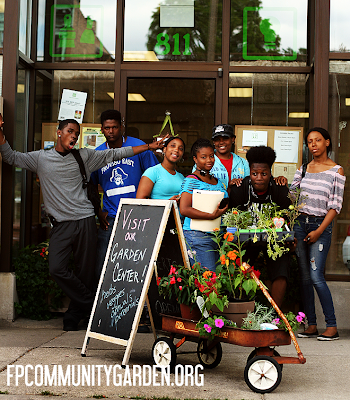 This summer the Forest Park Community Garden is playing host to seven students from the AACF youth job training program as part of it's mission to educate, inspire and create a sense of community in Forest Park. 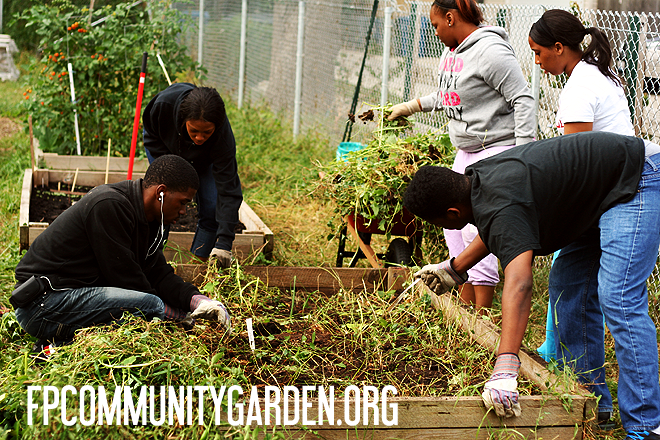 Germaris, Aaliyah, Jeff, Eric, Kiara, Jasmine, NDia have been hard at work in the garden. You may have noticed that within the first week they made short work of the bindweed that was choking the garden. They even did a good job of removing it from the fence that encircles the garden. The kids are learning about soil preparation, beneficial insects, learning to identify wanted plants from "weeds," composting, raised bed building and how they can grow some of their own food. Last week, they adopted a plot and planted their own fall crops after clearing the bed from bindweed and grass. We're hoping some funds become available so they build more raised beds and can plant and harvest more of their own fall crops. The Forest Park Community Garden youths have met several of the garden members over the past two weeks, but there are still many members we haven't had the pleasure of interacting with, yet. Here Jeff learns how to harvest carrots and tomatoes from a garden member. These kinds of one-on-one interactions with the membership are helping the kids learn about why a community garden in Forest Park is important, and it turns every member plot into a classroom. 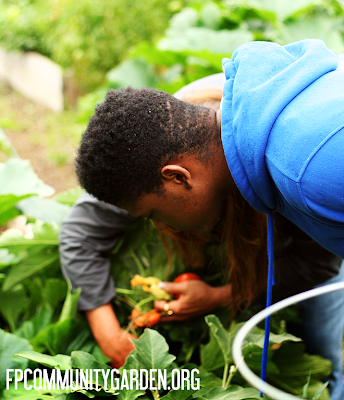 As part of the garden education program, we're visiting local businesses, community gardens and urban farms to explore the diversity of gardens and the green jobs they create. Last week we paid a visit to Green Home Experts in Oak Park to see some of the soil amendments, seeds, fertilizers and plants we had learned about in class that day. Maria was kind enough to donate a flat of edible plants so the kids could get their hands dirty and start their plot that day. The team is usually working in the garden on Monday, Tuesday, and Wednesday from 9-5pm through August. We'll alternate field trip days between Mondays and Wednesdays. This week (Monday) we're hoping to visit a medicinal garden in Chicago to learn about some common garden plants with remarkable medicinal uses.